Citizens Property Insurance is commonly known as the insurer of last resort, as it traces its roots to the exodus of insurance carriers from the Florida market after Hurricane Andrew in 1992. The state-run insurer has earned a poor reputation for its mishandling of claims, but for many homeowners, condominium associations and businesses in the state’s coastal areas it has been their only option. Unfortunately for all of those who must remain with Citizens for their insurance coverage, a ruling filed on May 14 by the Supreme Court of Florida will now make the insurer considerably less accountable for its actions in its handling of claims than it has been in the past. The ruling is undoubtedly the worst that has ever come from the Florida courts for the state’s approximately 595,000 Citizens policyholders, and it demands a simple and immediate legislative fix during the special session in June. The court’s decision in the case of Citizens Property Insurance Corp. v. Perdido Sun Condominium Association has completely shielded the insurer from liability for acting in bad faith. The ruling revokes, exclusively for Citizens, one of the most powerful tools that policyholders and their advocates have to hold Citizens accountable during the claims process. Under the law, insurers owe a duty of good faith and fair dealing to their policyholders, and they are thereby legally liable for using unfair, dishonest or deceptive practices in their claims and underwriting processes. If the carriers unreasonably delay investigations, deny claims, underpay claims, fail to timely respond to claims, fail to issue coverage decisions, withhold coverage documentation, cancel policies, or conduct other egregious acts they can face bad faith lawsuits for punitive and exemplary sums that go beyond the coverage limits under the standard breach-of-contract claims. 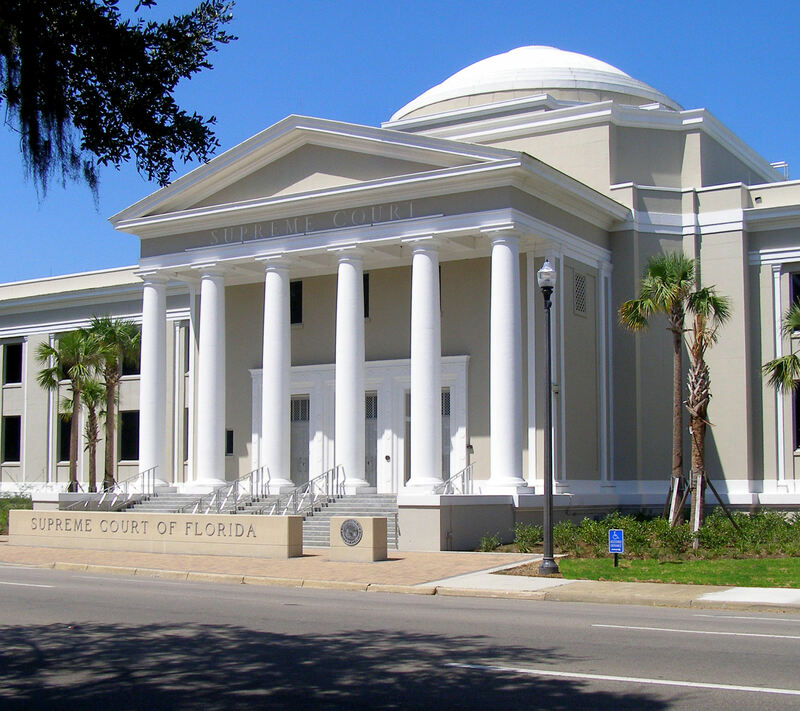 After conflicting decisions by two of the state’s district courts of appeal, the Supreme Court of Florida took up the question of whether the Legislature intended for Citizens to be liable for bad faith claims as an exception to its statutory immunity, which as a state agency was based on the principle of sovereign immunity and was enacted by the Legislature to protect the carrier. The case stems from a statutory first-party bad faith suit filed by the Perdido Sun Condominium Association after the association had already prevailed in its breach-of-contract lawsuit against the insurer. The bad faith claim alleged that Citizens refused to pay the full amount owed and take part in the required appraisal process; used the appraisal process in an attempt to forestall litigation; delayed payment of the appraisal award and improperly attempted to condition the payment upon the execution of a universal release; and engaged in a pattern and practice of seeking to avoid or delay the settlement of the claim. Citizens moved to dismiss the lawsuit by arguing that it is shielded from bad faith lawsuits under its immunity statute. After a review of the statute, the Supreme Court found no support that the Legislature intended for Citizens to be liable for statutory first-party bad faith claims. Even though the Legislature codified Citizens’ duty to handle claims in good faith, it did not list first-party bad faith claims as one of the exceptions to Citizens’ immunity. The court found that if the Legislature had intended to establish an exception for bad faith claims, it would have done so clearly and unequivocally by including it among the limited exceptions to Citizens’ immunity within the statute. This is precisely what the Legislature should do during the special session in June or during next year’s session. Based on the wording of the statute, lawmakers may have believed that bad faith claims did fall under the exception to Citizens’ immunity for a “willful tort,” but the court ruled that statutory first-party bad faith claims such as the one filed by Perdido Sun are not technically considered a willful tort. The end result of the ruling is that Citizens’ policyholders will no longer have the only bargaining chip they had to hold Citizens accountable for how it handles claims. It creates an uneven playing field for Citizens against all of the private-sector carriers in Florida that must act in good faith and avoid dishonest and unfair practices with their policyholders. Citizens will face no legal repercussions or liabilities even if it blatantly disregards its duty to make timely claim decisions and payments, conduct fair and unbiased claim assessments, or respond to routine requests for policy and claim documents. The company will have free rein to act with impunity in how it responds to and handles claims, which has horrific implications for all those who will face the prospect of filing a claim with Citizens in the future. With the hurricane season starting in June, it is imperative for the Legislature to remedy this ruling by adding bad faith lawsuits to the list of exceptions in the Citizens immunity statute. Without this legislative fix, there will be no constraints for the state-backed insurer to act within the bounds of fairness with its policyholders.